Architecturally designed and built in 2008. Three bedroom house situated a very short stroll to the lovely Medlands beach. Master bedroom, King bed with toilet and hand basin in ensuite. Maximum six people staying at one time. A very clever house and a stunning beach. We had a most enjoyable holiday at this magic spot. 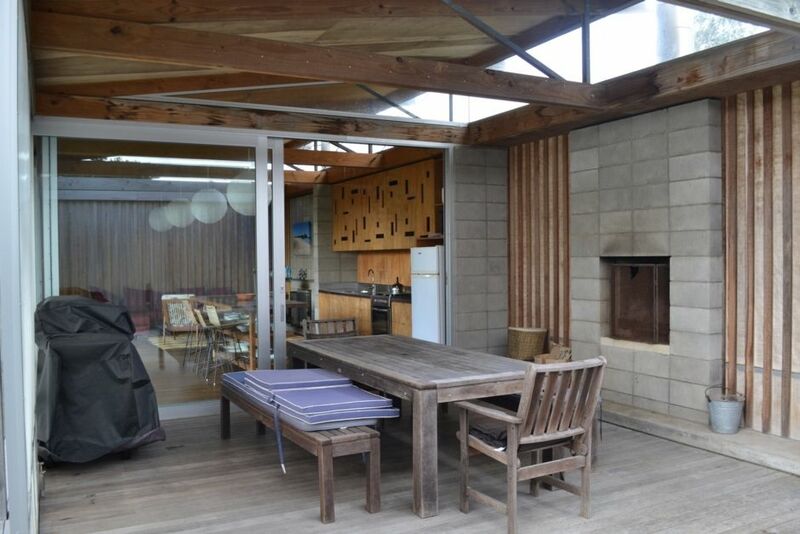 The house is a very clever design, comfortable and is well set up for 6 people. We loved our stay and the close proximity to the stunning beach. Highly recommend as a wonderful place to stay. We loved staying at this Bach. The location is fantastic and we spent our days relaxing and swimming at the beach. I would highly recommend this Bach for its layout, proximity to the beach and beautiful design. An excellent Bach with everything you need. Very tidy and clean. Great communication prior to stay and even better welcome by the caretaker on the day. Easy to locate and less than a minutes walk from the beach. I would definitely recommend and stay again. Thank you! A wonderful spot for our best family holiday ever! A wonderful spot for our best family holiday ever! Thanks for sharing your special batch! A wonderful place to be on special Medlands Beach. Great location on Medlands beach. Great location on Medlands beach. Amazing batch 10/10. The house design is superb, with large sliding doors that can be opened in a number of different configurations. The outdoor area has large wind/sun screens that can be moved to different locations based on the weather. Very comfortable furniture and relatively clean for a bach next to the beach. The only factor that could be better is that the house is on a very small section enclosed by other houses, without any view or garden area and with little usable lawn space.